The Canadian citizenship certificate (formerly citizenship card) is a document used by naturalized Canadian citizens to prove their status in Canada. If you have proof that you need to replace your citizenship card urgently, you can get it sooner than the usual processing time of 4 - 6 months. Frequently people need to get their citizenship card replaced urgently because they need to renew their Canadian passport to travel, or they need to prove that they are a Canadian citizen for work. Under circumstances like these, CIC will almost always process the application with urgency. You can still submit a ticket as proof of urgency even if you have only paid a deposit, but some amount of money needs to be paid. Keep in mind that urgent processing is not guaranteed. If you submit proof that you need your certificate urgently, it is at the discretion of the officer reviewing your file whether to expedite the processing of your application to replace your citizenship card. For CIC to issue a new citizenship card to you, they have to confirm your identity. For this reason, you have to include photocopies of two ID documents, one of which must have a photo, with your citizenship certificate application. All documents used to support your citizenship card application must be current and valid. All documents provided must be from Canada or the US, otherwise CIC cannot verify their authenticity. For this reason, if you have to submit supporting documents from another country because you live outside Canada or the US, you must submit your citizenship card application to the Canadian consulate closest to where you live. If you don't have all of the required documents for your citizenship card application, please see the next section. If you don't have the necessary ID documents to apply for replacement of your certificate, you can use other documents as identification. If you have only one or do not have any ID documents with a photo, you should provide as many of the above documents as you can, AND what's called a Statutory Declaration. This declaration contains several statements about your identity, an ID picture of you, and is sworn before a lawyer. The statutory declaration acts as your photo ID for a Canadian citizenship card application if you don't have one. Statutory Declarations which do not contain a photo cannot be used to support your citizenship certificate application. Contact us if you need help with your Statutory Declaration. 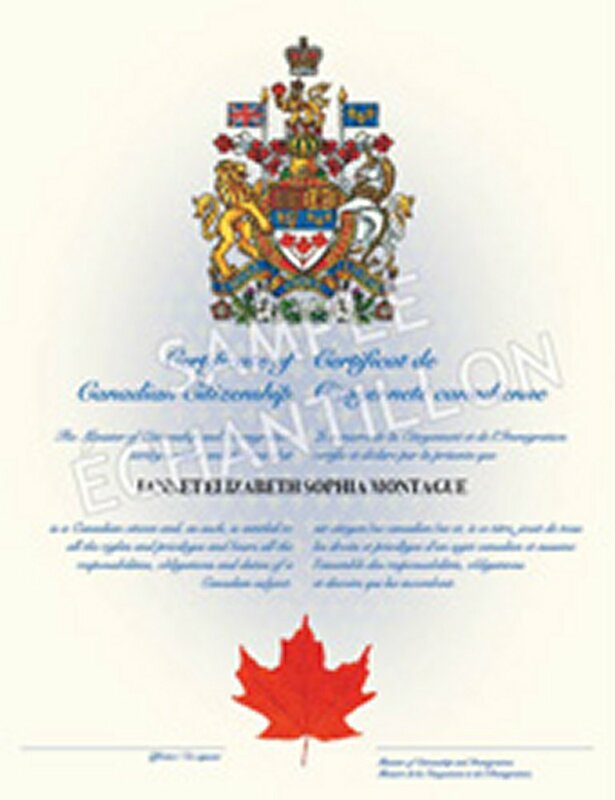 As of February 2012, CIC no longer issues proof of Canadian citizenship in the form of a photo ID card. In an effort to prevent fraud, CIC created a new document as proof of citizenship which now comes in the form of a paper certificate with a barcode and personal information printed on the reverse side. 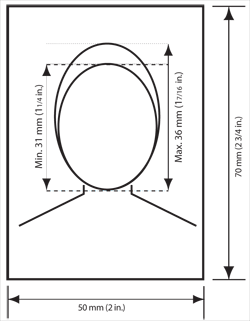 There is no photo on the document, but when the barcode is scanned the photo of the document's owner that was submitted with their citizenship application will appear. The old style photo citizenship cards are still accepted as proof of Canadian citizenship by Passport Canada and other government agencies. However, it is not possible to get a new photo citizenship card anymore. 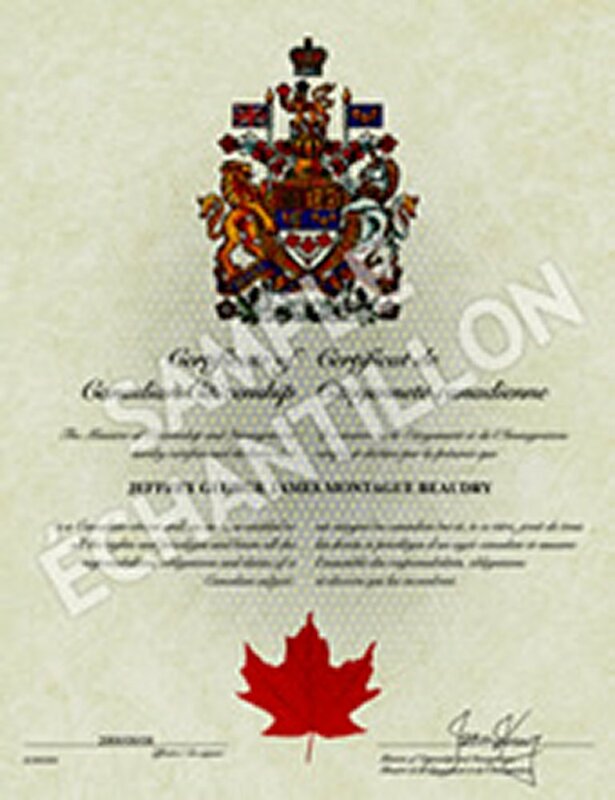 All proof of citizenship issued after February 2012 is now in the form of a paper certificate. Also, DO NOT bend, crease, or laminate the paper citizenship certificate or it will be VOID and will not be accepted. If you submitted an application to replace your Canadian citizenship card and the application was returned to you, or you received a letter requesting additional documents or information, this means that your application was not complete. CIC will not continue to process your application for a new proof of Canadian citizenship until you provide exactly what they have requested. If you don't respond to CIC within 180 days (6 months) of their letter to you, your application will be abandoned and you will not receive a replacement of your Canadian citizenship card. If you're not sure why your application was returned, contact us for more information. Everyone born in Canada is a Canadian citizen. But, if you were born outside Canada and one of your parents was a Canadian citizen either by birth or naturalization at the time you were born, then you are a Canadian citizen by descent. To get your Canadian passport, you first need to apply for proof that you are a Canadian citizen in the form of a Canadian citizenship certificate. As of 2009, Canadian citizenship by descent is only extended to the first generation born outside Canada. Prior to this, the second generation born outside Canada could also claim Canadian citizenship through their Canadian grandparent. The application process for obtaining your first Canadian citizenship certificate through a Canadian parent is largely the same. 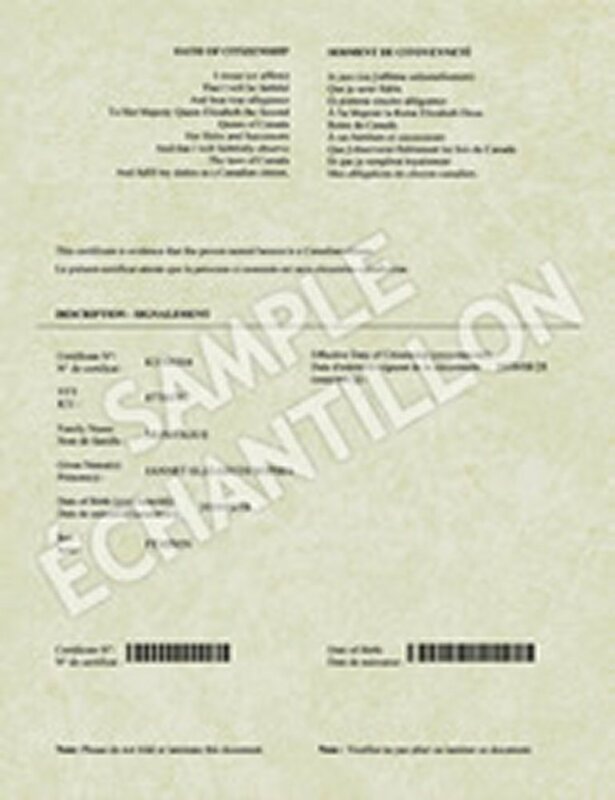 A copy of the applican'ts own long-form birth certificate showing parents' names and the applicant's Canadian parent's long-form birth certificate showing their parents' names must be included. This is in addition to the other photocopies of ID documents that must be included. All photocopies of documents must be certified. A first Canadian citizenship certificate cannot be submitted without proper documentation. Many times, if there is information about you that is incorrect on your Canadian citizenship card you can apply to update it and you will be issued a new citizenship document. Typos and misspelled names can be corrected through a simple request on the replacement citizenship card application. If you have legally changed your name, you must include a copy of your marrriage, divorce, or name change certificate with your application. Incorrect dates of birth can be corrected as long as the information is correct on CIC's records and the misprint was only a typo. 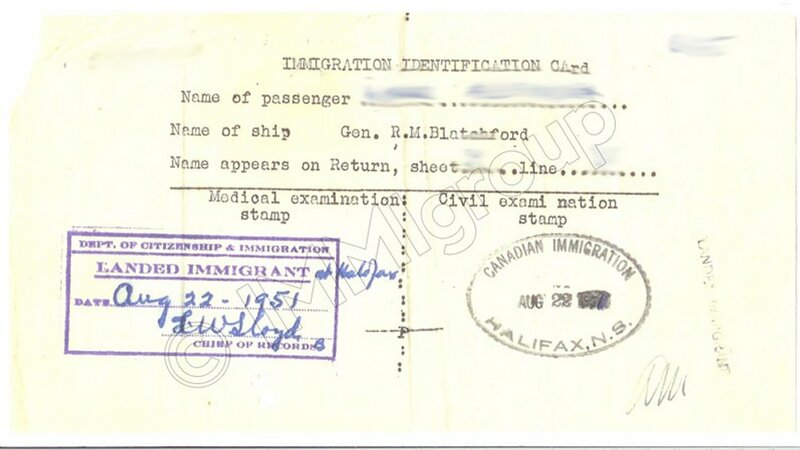 If your information, such as date of birth, is incorrect on CIC records, you have to apply for an amendment of your IMM1000 Record of Landing in order to change this information on your citizenship certificate. If you're not sure whether you need an Amendment, contact us. Are you an American citizen with a Canadian parent? If so, you're probably also Canadian. If you've never had a citizenship certificate before, you want to apply for a "First," whereas you if you have had a certificate before, you want to apply for a replacement. We at Immigroup Inc. can help you with other citizenship applications as well. For example, if you need to verify citizenship information, we can help you apply for Search of Canadian Citizenship Records. If you were born outside Canada after 1977 and risk losing your citizenship, we can help you apply for retaining your Canadian Citizenship. Similarly, we can also help you if you want to renounce or resume your Canadian Citizenship. Purpose: This application is for persons requesting a search of citizenship records to verify citizenship and naturalization information. A valid reason for the search must be given. If the person is requesting a search of records for information about another person, that person’s consent is needed, unless the person is deceased. The record letter cannot be used as proof of citizenship. Instead, please use the Application for a Citizenship Certificate. Purpose: This application is for a person who was born outside Canada after February 14, 1977, and who could lose Canadian citizenship under Section 8 of the Citizenship Act unless he/she applies to retain Canadian citizenship. Purpose: This application is for an adult Canadian citizen who wishes to renounce his or her Canadian citizenship. You must also prove that you are, or will become, a citizen of a country other than Canada, if this application to renounce is approved. If you would like to renounce your citizenship, please contact us. Need to Get Your citizenship?